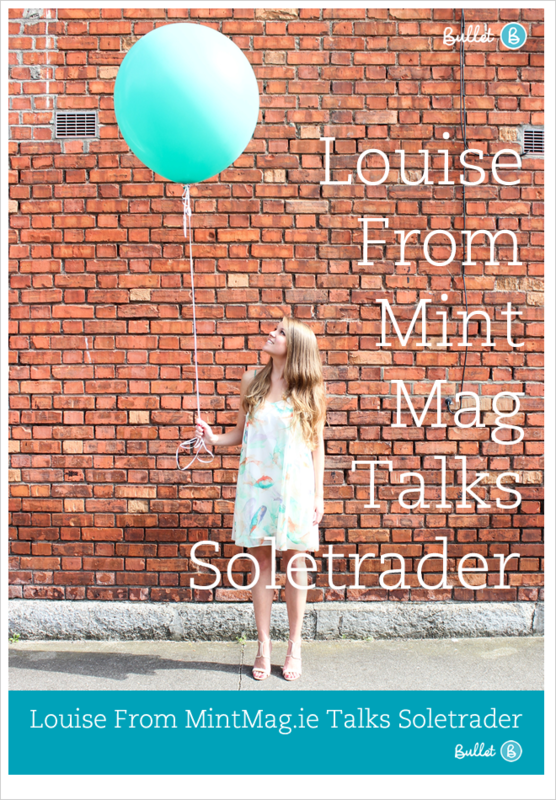 We sat down with Louise Rankin’s from MintMag a super popular lifestyle blog and Bullet member. We asked her what kind of questions she had when she was setting up her business as a Sole Trader. Q. I have started Self Employment as a Sole Trader. What do I have to do about tax? A. If your business supplies goods over €75,000 per year or services over €37,500 then you have to register for VAT. if it doesn’t, then you don’t. Registering means you pay VAT, but you can also claim it back. The Form TR1 covers VAT registration as well, and Bullet automates your VAT returns. Q. Should I register as an employer? A. Only if you are going to take on employees, and if so, the same form TR1 deals with this as well. Remember – we talking about employees, not people working for you on a freelance basis. Q. What do I pay tax on? A. You pay tax on your profit for the tax year. That’s all income that comes into your bank account, minus the business expenses that you spend. Q. But, I’m still working full time. Do I get taxed twice? A. No, you only pay tax on the extra income you make. Q. How do I pay myself? In sole trader world, this is called drawings – as in your drawing down money from your account. See below. A. This is what you pay yourself out of the business. You do not pay tax on drawings, but have to tell the Revenue how much they are so that the Revenue can see you have enough drawings to live on. Q. Can I claim for Coffees, if I’m say interviewing someone. I can with my current job? A. Nope, but the company can pay for it. When people say claim they usually mean claim off their tax bill. So your current employer just pays for it like a bill, but they don’t claim it off their tax. – This is reimbursement in your wages on coffee as a Sole Trader. – If you buy a Laptop it’s paid for by you the Sole Trader (the company), you are the company. – Only at end of the year I can you put a laptop into tax year end. – Sole Trader can claim petrol expenses but only as a tax deduction not a money back in your pocket. So there is no reimbursement of payments made by the company in your wages. If you have any other questions, just add them in the comments below and we’ll answer them. That way everyone can learn. How To Take Drawings (Wages) As A Sole Trader. Follow this post and look at the bottom of it.